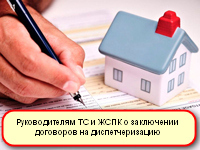 The municipal unitary enterprise «Housing and Communal Services of Leninsky District of Minsk» (hereinafter - the Enterprise) was established on the basis of the decision of the Minsk City Executive Committee of February 24, 2015 No. 472. The Enterprise is a legal entity, has separate property in economic management, bears an independent responsibility for its obligations, can acquire and exercise property and personal non-property rights on its own behalf, fulfill duties, be a plaintiff, defendant and a third person in court. The property of the Enterprise is owned by the city of Minsk and transferred to the Enterprise on the right of economic management.